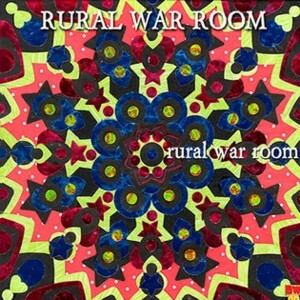 While writing this episode of the soundtrack of my life I am listening to The Rural War Room. That is a radio show that you can hear every Tuesday evening on your computer. The Rural War Room is made by Byron Werner and Donavan Suitt, and one of their slogans is Anything goes . That is well chosen: tonight I heard some real weird but good Japanese eighties pop, The Spice Girls, Yma Sumac, two very corny rap parodies, a street organ on LSD, strange calypso’s, and several pieces of music that defy any category. So, if you think that you have heard it all, check The Rural War Room! There is an official RWR home page, where you can find all the information to get the hear the sounds that I enjoyed today. And here is a track that made me laugh two and a half times today: first when I heard it for the first time, then when I played it back to record it, and finally when I made this mp3 of it, so i can share it with you. The name and title are phonetically transcribed, so they may well be a few letters off from what the original name and title are. But it sounded like Andy Vel Gorme with Chacarone macarone . Unfortunately the gallery is at the other side of the planet from my perspective, so you won’t see me there. But if you happen to be an eye-witness, I wouldn’t mind hearing how this Side Show is. Sideshow was a success already. 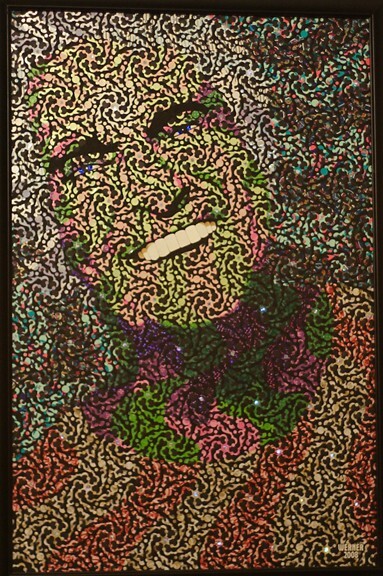 The DiCaprios bought the Timothy Leary. Yay! 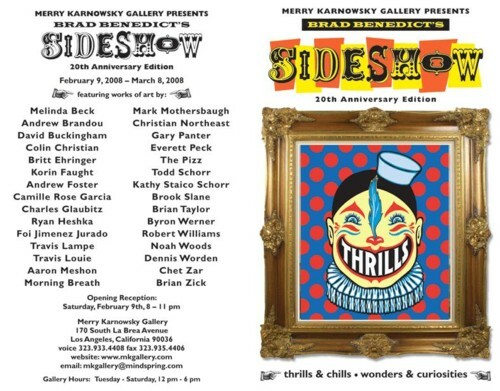 Thanks Firts for the nice comments and for posting the invite to the show in Los Angeles. Stay tuned to the RURAL WAR ROOM for our upcoming DUTCH SHOW (thanks to YOU) sometime in 2008! SHARING MUSIC AROUND THE GLOBE BRINGS WORLD PEACE! Oops, sorry, I mean FRITS.